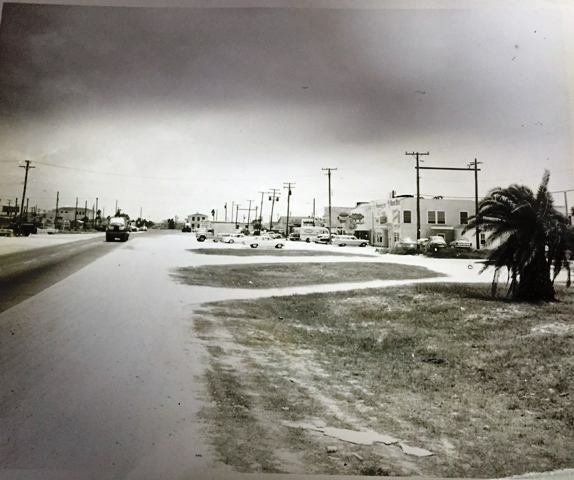 To preserve the rich history of Flour Bluff, The Paper Trail News, will run historical pieces and personal accounts about the life and times of the people who have inhabited the Encinal Peninsula. Each edition will feature the stories gleaned from interviews held with people who remember what it was like to live and work in Flour Bluff in the old days. You won’t want to miss any of these amazing stories. These stories can be found in print in The Texas Shoreline News. James “Butch” Roper, born October 16, 1940, is a direct descendent of George Hugo Ritter, a German immigrant who settled Flour Bluff at the start of the Ropes Boom in 1890. Ritter’s son, Erich George, born in 1893, married Myrtle Mae Watson, whose family was one of the first families in Flour Bluff, as well. 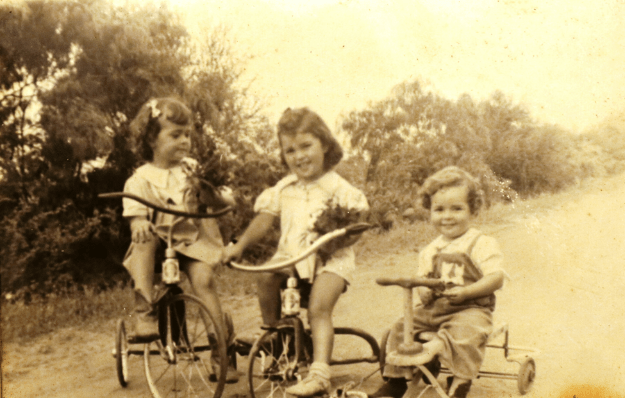 They had three children, one of whom was Alice Ritter, Butch’s mother. Alice married James “Mickey” Roper and had three children: Deanna, Butch, and Cheryl. 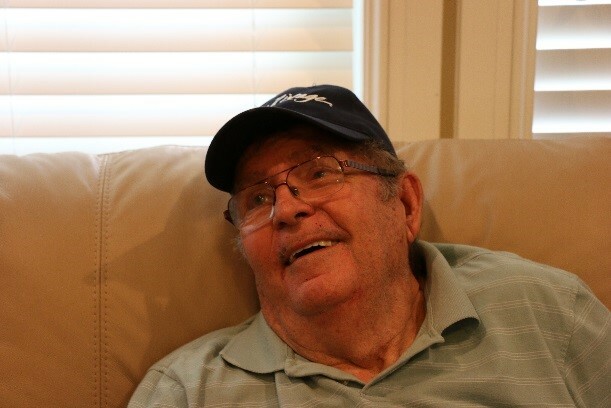 Butch spent his boyhood days helping his grandfather, Erich George, with the chickens, the crops, and the cattle while his father worked for Humble Oil at the refinery on Graham Road. Butch Roper thoroughly enjoys entertaining people with his memories of what it was like growing up in Flour Bluff. Butch’s earliest memory is of a ghost in his grandparents’ house that sat on Red Lake just south of Graham Road and west of Laguna Shores Road. “I was coming out of the field with my grandfather. I fell out of the truck and broke my collarbone,” recalls Roper. “Back then, they strapped you in a harness for a broken collarbone. They put me in the upstairs room of that old two-story house. I was scared to death! The story was that there was a ghost in that house and that she walked the stairs at night. There I was, a little kid strapped in that harness in a big old spooky house,” said Roper. “To make it even scarier, it was when they used to make everybody in Flour Bluff turn all their lights out at night so the German submarines wouldn’t see where we were,” he said. “Every time those old stairs would creak, I’d think that ghost was coming to get me!” Roper laughed. 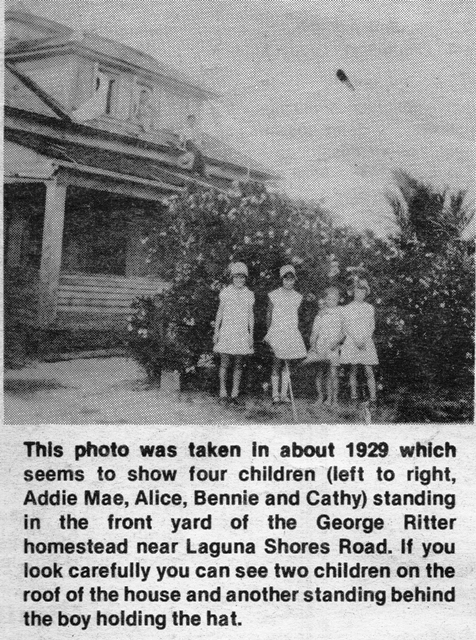 Roper told of how most people in Flour Bluff at that time either lived at the Grass Place or far down Laguna Shores where the Vannoy family lived. “Everything else was mostly brush except where people had cleared to build their houses,” said Roper. “The Ritters owned everything from Laguna Shores to Waldron Road and from Graham to Don Patricio, which included Red Lake. That lake was so salty that ducks never came to it.” This includes the property where the “little refinery” sits on Graham Road. “They had a long-term lease with Humble Oil. Since then, the lease has changed hands two or three times,” said Roper. 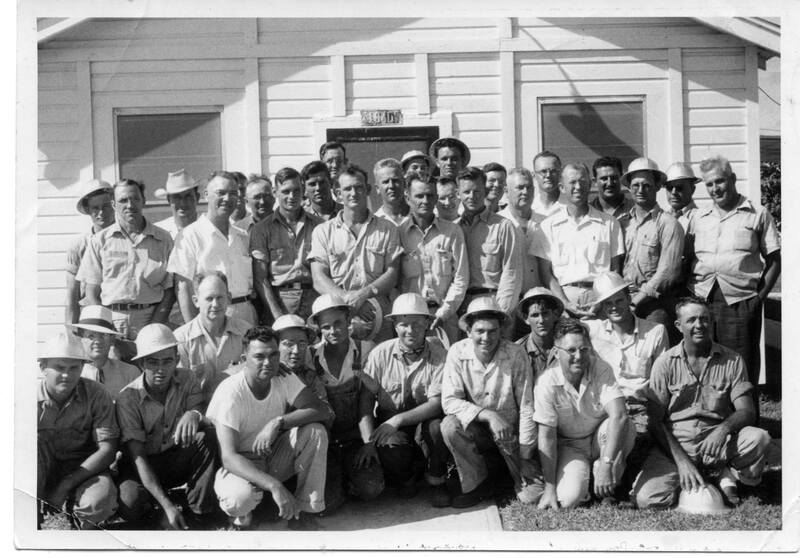 Roper recalled how much he enjoyed being part of the Humble Camp when his dad worked at the refinery. “My family spent a lot of time with the Humble Camp people. It was kind of like a big family. They had barbecues and square dances on the weekends. The adults played Canasta or domino games like 42 and 84. That was a grown-up thing. The kids just played and got into a little mischief when the parents weren’t watching,” Roper said with a smile. Butch started school at Flour Bluff when he was seven. “I went to school at the old school on Waldron and Purdue. It was just a long hall with a gym,” recalls Butch. “We started sports in that old gym. Back then it was just reading, writing, and arithmetic. 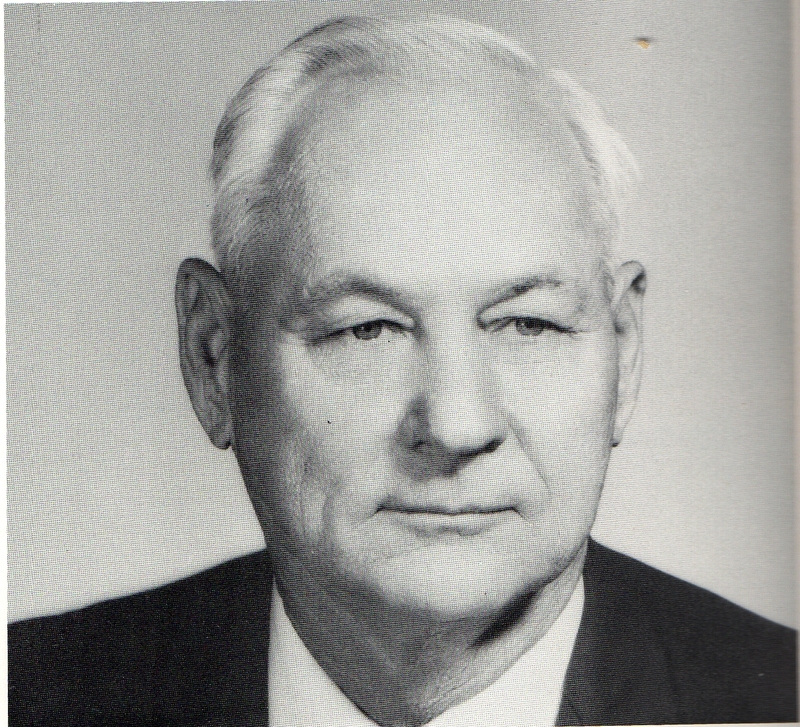 Mr. Wranosky was the superintendent. He was a task master. He had the look about him that you didn’t want to mess with him,” he remembers. According to a Caller-Times article when Butch was in high school, he averaged 15 to 16 points a game. Coach Bud Gray was three inches taller than his tallest player. 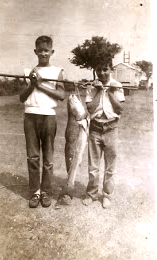 Butch and his best friend Eddie were regular starters. Reporter Jim McKone, author of the article, “Flour Bluff ‘Shorties’ Beat 14 of 19 Taller Foes,” wrote: “Short but fast, the Flour Bluff Hornets have several dangerous scorers. They average three or four inches below six feet. But 5-10 Butch Roper and 5-4 Eddie Farrias are accomplished shooters.” All those times sneaking into the Flour Bluff gym evidently paid off. 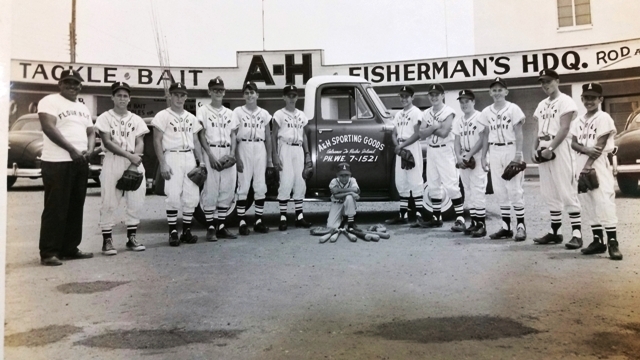 “There wasn’t much to do in Flour Bluff for a kid other than play sports. We had a wreck hall in the Humble Camp where we had gatherings with our families. Sometimes we went to the show on the base. It was a dime to get in. We hunted and fished, too,” Butch said. 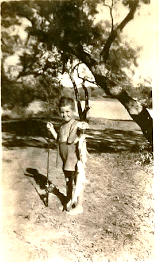 “I fished all the time with a fishing pole and usually fished with my grandfather. 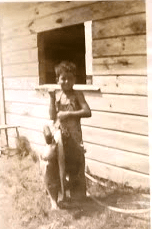 We spent lots of time together – and caught lots of fish,” Butch said proudly. Be sure to pick up the next edition of The Texas Shoreline News to read Part II of Butch Roper’s story. To share his story with others online, visit https://texasshorelinenews.com/.